Disillusionment has indeed set in the minds of many local observers and analysts, and also among the diplomatic corps. Hopes of seeing new faces in the cabinet have been dashed, and there are now strong concerns about the performance of the new cabinet as the underperforming ministers assume their previous positions, with almost no oversight and audit of their work. 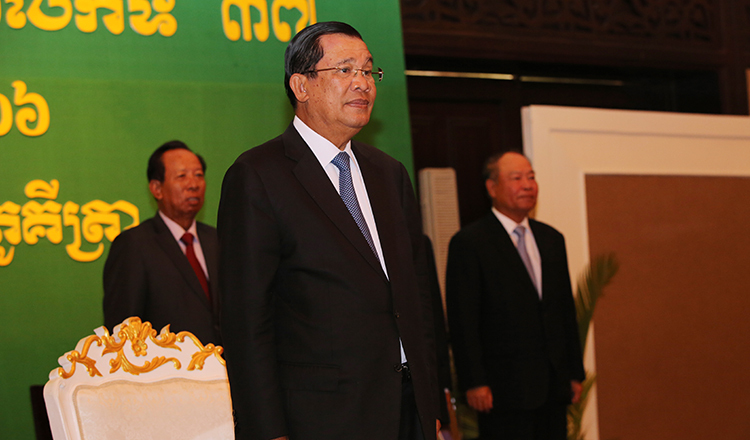 Prime Minister Hun Sen said that he preferred to see “those who failed previously to stand up on the same spot and be counted”, meaning he was giving the underperforming ministers another chance to internally reflect upon their inadequacies and hopefully reform. It is a déjà vu power play. Only time will tell whether such a strategy works but bear in mind, the model did not work in the past in terms of public sector reforms. Except for some drastic changes in the upper echelons of the security sectors, the civilian cabinet has been practically left untouched. There remains a slight glimmer of hope that there could be mid-term review of the performance of the ministers to steer the cabinet cautiously. But then again, who knows? The applecart could once again be overturned. The new cabinet is poised to meet mounting challenges to maintain and strengthen its legitimacy amidst mounting pressures from the opposition and resistance coupled with international pressures, including potential sanctions from the US and the European Union. Hopefully, the new cabinet will be able to steer the country through such unprecedented times of uncertainties by showing a steely political will to robustly reform its state institutions. While recognizing the importance of maintaining the power status quo with the aim of ensuring solidarity and loyalty within the party and state systems, the formation of the new cabinet will nevertheless, be consequential. The new generation of leadership that has worked hard to reform state institutions could become less motivated given the fact that leadership opportunities at the highest helm are still limited. The current cabinet members will stay in power for many more years – depending on their health. Therefore, the young and the brightest will have to wait their turn – and that could take another one or two mandates. If precedent is a lesson, then there might not be any drastic leadership change in the near future – as evidenced in the past 20 years under the ruling Cambodian People’s Party. It is the prime minister who calls the shots in any leadership change if he feels such change is urgently needed in the new mandate. Until then, we can only wait with baited breath and just hope. Those who voted for the CPP on July 29 expected to see robust reforms of state institutions but now they seem to have been let down with the current composition of the new cabinet. With the sweeping mandate that CPP received, some observers predicted drastic reforms starting with leadership changes at some ministries due to the urgency of matters and the need to show tangible results to the public. Alas, it did not happen and whilst the prime minister did explain his reasons, as valid as they may be, it was nevertheless a punch in the gut. The strategy of adopting a bottom-up approach takes much longer time to bear results than a top-down approach when it comes to building and creating a clean and efficient government, given the fact that nepotism is deep rooted within the state system – from the central to local governments. It is extremely hard to implement reforms if ministers do not have a genuine political will and commitment to change their old habits and practices. Conservatives, everywhere, prefer to maintain the state of affairs or keep the status quo and play it safe rather than experiment with drastic reforms. They are not willing to adapt to changes although they are aware that changes are natural processes which can only be delayed but not avoided. The reformists are reluctant to challenge the conservatives given that their power bases and positions could be affected. So as a survival strategy, unfortunately, these reformists also seem to be going through the motions. It may be too much of an assumption to expect transformative leadership to grow in such a power structure and political environment. As a result, internal competition to further improve public services will be less dynamic and could grind to a halt. The cabinet’s performance will be the core source of legitimacy for this new mandate. Regime stability and survival largely depends on how much the state institutions can deliver on its services and meet the expectations of the people. Coupled with the possibility of an opposition that will constantly be a thorn on the government’s side, and the reality of increased international pressures from the West, the regime will face unprecedented challenges and uncertain times ahead. The storm is not over yet. The members and supporters of the opposition movement remain active, although they are lying low at the moment. The risk still remains high that these opposition politicians could stoke the flames of discontent, if the new government is not seen to be delivering on its promises to the people. Cambodia is entering a new political and social era where the millennials have an important role to play in the process of nation building. These young people are looking for a new type of leadership that can resonate their views and they are less tolerant of a conservative, old style of leadership, compared to their parents’ generation. During the past decade, millennials have acquired a greater influence in society. Since 2013, the entire generation has been able to vote. Millennials are turning 38 in 2018, and are quickly moving into more influential positions in the public and private sectors. This being the case, it is important to understand how millennials think, and what values drive them. Young leaders understand these millennials better than senior leaders and speak their same language and share their same aspirations. These millennials have a disdain for “elitist leadership” and need leaders who can connect with their hearts and minds. The reality is that millennials are now the critical mass that can transform Cambodian society. The Cambodian intellectual class, although not institutionalized, is becoming another force of social and political change. These intellectuals, some of them in the public sector, have been struggling to create their own political space to engage in policy debates and reforms. However, their intellectual resources and prowess have not been effectively utilized due to ongoing practices of nepotism and rigid power politics. Therefore, what lies in the road ahead for the new government in the 6th mandate? Besides galvanizing efforts to counter international pressures and sanctions, the new government, as already mentioned in its Rectangular Strategy 3.0, must continue to enhance its performance, ensure legitimacy, adapt to social changes and people’s expectations, especially the needs and aspirations of the youth. It must also better utilize intellectual assets by promoting meritocracy, and strengthen collective leadership, ownership, accountability and transparency within state institutions. The media and the general public will closely monitor the progress to be made under the new cabinet. Being critical does not mean being confrontational or oppositional. 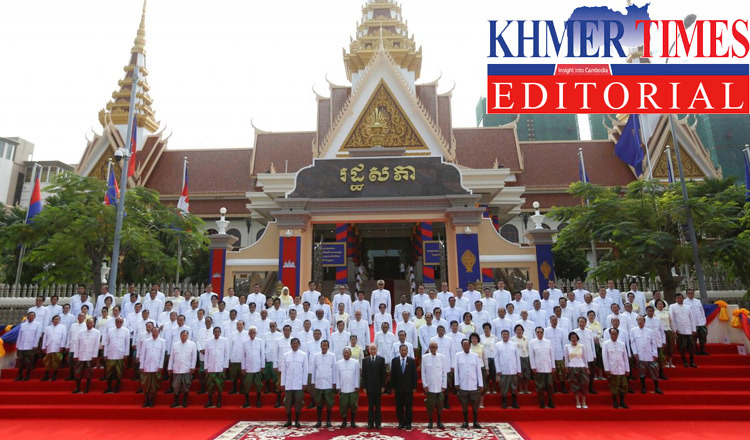 Khmer Times will continue to critically assess the performance of the new government, with good intentions of strengthening public trust and confidence in the government through the promotion of open dialogues. Khmer Times will organize a series of roundtables on public sector innovation in order to promote public debates and dialogues on public service delivery. Let the voices of the people be heard and ideational flowers blossom.